You are here: Home » BH TOURISM » Banja Luka to be connected with Berlin soon? From March next year, Banja Luka will be connected to Berlin, was announced by representatives of Ryanair, who connected the largest city of Republika Srpska with Stockholm, Brussels and Memmington earlier in November. Representatives of this Irish low-cost airline have expressed their satisfaction with the passenger traffic at Banja Luka airport so far. Minister of Transport Neđo Trninic also agrees that cooperation with this low-cost company has proved to be a good decision, as said, according to the traffic data of passengers, in less than a month at Banja Luka airport there were almost 10,000 on all three mentioned lines. Trninic added that this number of passengers is the best indicator of the need to establish more airlines from Banja Luka Airport. Trninic announced that ten new people would be employed due to increased traffic at the airport. 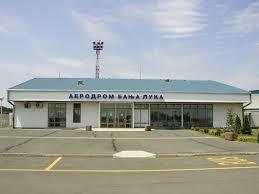 Airport Director Dusko Kovacevic said that a vacancy announcement for ten new workers will be announced soon.